Welcome to the first post of the Halloween Countdown! Accessories are ALWAYS important for any successful halloween costume and this year it's all about glitz and glam, any excuse to get the glitter out. This mystical set is from PaperDolls which is a new brand by Little Mistress. This is part of their Debut Jewellery Collection which is going to be huge and I'm so happy I can give you all a little insight into things to come from PaperDolls. Already being a popular online brand and can also be found on ASOS, Dorothy Perkins, NEXT, Lipsy and many more fantastic brands. 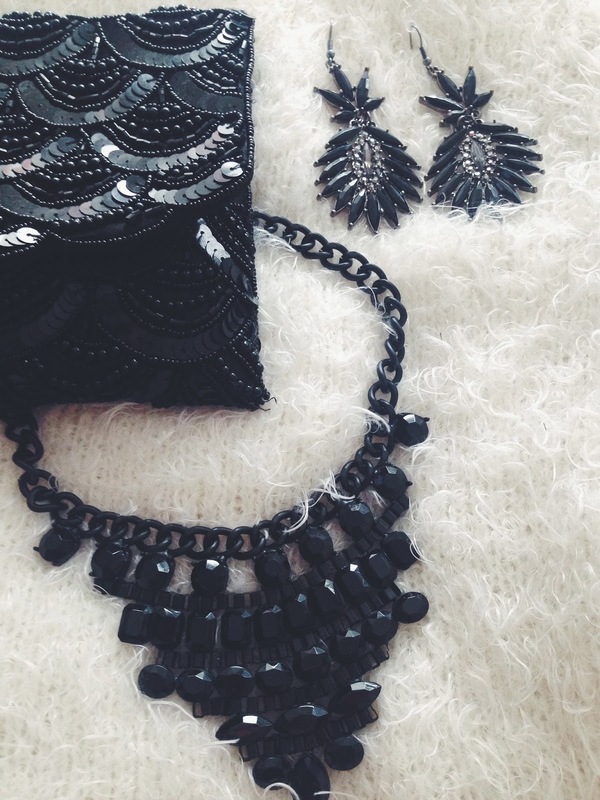 This is the perfect black but chic look to add to your dark and otherworldly outfits. With a matte black chain on the necklace contrasting with the sparkly black jewels, it's a must-have statement for your party/night out. 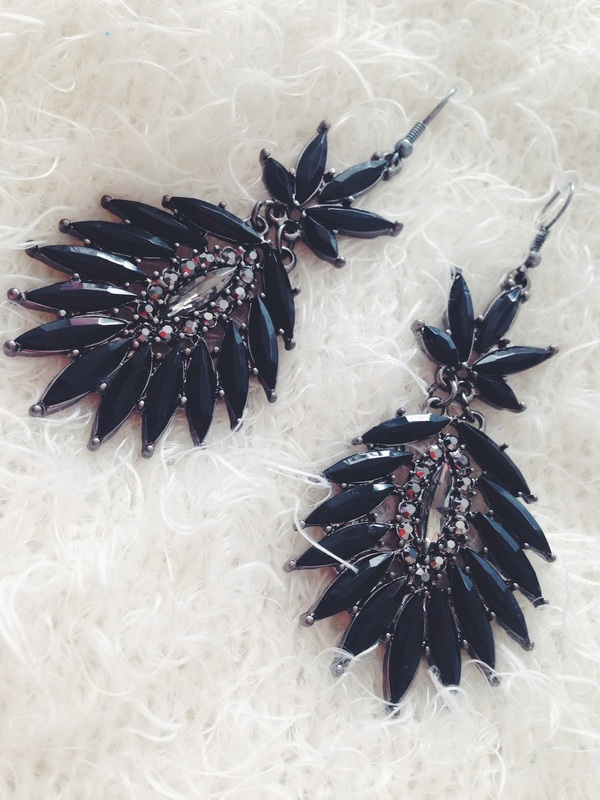 Paired with the spiky crystal earrings to add even more glam and edge to the halloween hype. Everyone loves a bit of sparkle to grab peoples attention and this is not going to disappoint. Luckily I have the perfect bag from NewLook to match the magical set keeping the glitz, glam and sparkle on tap. You need somewhere to hide your make up and face paint for quick touch ups after all. 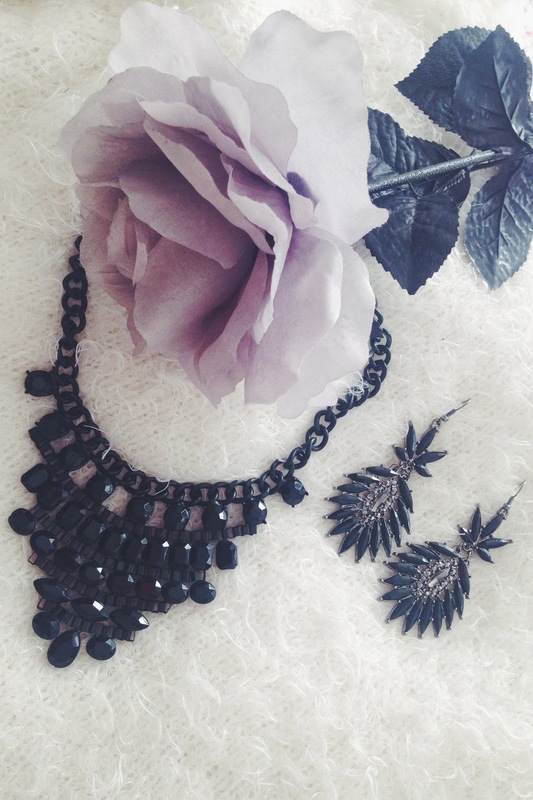 Black is always going to be classy so this set is perfect for every occasion, not just a hot look for halloween.